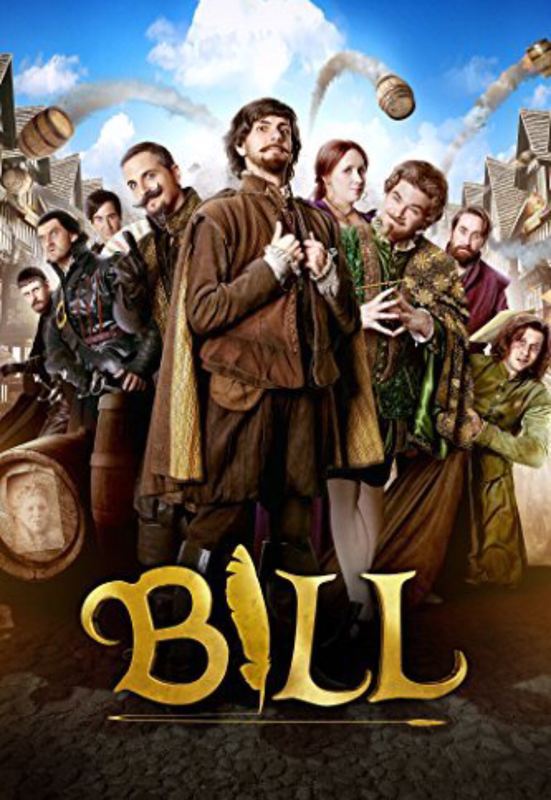 This film, Bill, also explores Shakespeare’s story but is not like those other movies. Instead it is a broad comedy made by the team behind TV’s Horrible Histories and Yonderland and it is funnier than anything I have seen in a cinema in the last twelve months. Forget about Trainwreck or Spy, this is where the laughs are. The film essentially tells an origin tale of how the bard moved to London and found fame and success as a playwright. Unlike the Horrible Histories show though it makes very little effort to adhere to documented facts. (Actually, in that respect it is a lot like Shakespeare in Love and Anonymous.) I think it is fair to say that Bill is inspired by history rather than informed by it. For example, in this version of the story young Will is caught up in a Spanish plot to assassinate Elizabeth I and at one point he collaborates with a ghost to produce one of his finest plays. It’s more Walter Mitty than Hilary Mantel. Anyone who has seen this group of actors’ and writers’ previous work will know what kind of tone to expect. In many respects their style harks back to Monty Python, and while their humour may not be as surreal it does celebrate quirky character and likeable idiocy in the same way. Like the Pythons the team all play multiple parts as well. It is hard, and perhaps unfair, to pick out anyone in particular when it is such an effective ensemble but Mathew Baynton is charming in the title role, among other parts, and Martha Howe-Douglas is strong as his wife Anne Hathaway, who in this telling actually has a loving relationship with her husband. Also, I have to mention Simon Farnaby who, after this film and his turn as the security guard in Paddington, must now be the go to guy to play lascivious creeps in any British comedy. Bill is certainly a very British comedy; the humour and sensibility feel very much of these isles. Some of the gags veer toward the bawdy (more so than in Horrible Histories) but generally it is all just delightfully silly. Crucially, the jokes work. This film is not just amusing, but is laugh out loud funny in a way that few contemporary comedies are, from this year or any other. The first film from this troupe of players then is endearing, affectionately anachronistic and very funny. It harks back to a range of other movies from the Princess Bride to the Marx Brothers, comfortably inserting lines from the works of Shakespeare alongside quotes from Star Wars. It is as reverential as it is referential though and is a celebration of the great poet as well as movies and theatre in general. It is a palpable hit. Bill is available for streaming now and is released on DVD on Monday 15th Feb.